Storytime Crafts-Do you or don’t you? I was recently chatting with a storytime mom and we were talking about the importance of doing a craft in storytime. So it got me thinking, do you use crafts in your storytime? I put a poll up on my blog, so be sure to answer it, I want to know! I myself am a big advocate of using crafts in storytime. For one, I feel like it brings the storytime together at the end and gives the parents and children a chance to talk about all the great things they learned that day. Second, it gives the child something to bring home and remind them of the good time they had at the library. I can’t even count the number of times a parent has come to me weeks after a ST and told me that their child STILL plays with the old craft. And they still talk about the things we did! I don’t know about you, but I think that’s pretty cool. I know that it may be hard for some to prepare crafts due to time, staffing, huge crowds etc. so I know it’s not for everyone. I usually have my teen volunteers take care of most of the prep work, which is very helpful. But I think even having a coloring sheet for them to take home is a great idea. Again, something for them to TAKE so they will talk about it. I am so excited to share this awesome grant idea with you all! My good friend and coworker was recently told she wouldn’t have a job as of February 1st due to our library district losing in the election for a tax initiative (don’t worry guys, she already found a new job :)). Because of this two of our smaller libraries had to close, leaving our town to only 3 libraries. So, needless to say, she had to pass along some of the projects she was working on and I was lucky enough to be a part of this amazing grant she was awarded. 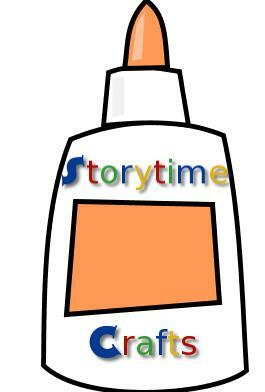 She had the great idea to create what she calls “Storytime To Go” And that’s exactly what it is. It will be 15 kits (12 themed & 3 bilingual) that are put together with books, flannels, songs, rhymes etc for patrons to be able to check out and take home with them. But here is the best part, there will also be a digital version of someone (me among other children’s librarians) doing the actual storytime and the patron will be able to download it. How neat is that?! I am so so sad to see her go, but very excited to be able to carry out her wonderful idea. I will update you all when things get moving along a little bit more. It has been quite awhile since I’ve joined in on a Flannel Friday, but I’m very excited to be back! I have begun planning our winter storytime session so hopefully I can be a part of it for a few weeks. Here is my most recent creation. The Silly Pizza Song!!! If you don’t know The Silly Pizza Song then you are missing out. It’s from Signing Time By Rachel Coleman and SHE IS AWESOME. Here at my library we own all the Signing Time and Baby Signing Time music CDs. They are great to use in ST and I love teaching sign language to the kids. They love it too! I’m not going to write out the whole song because of copyright or post my clip art that I used, but it was easy to find. I bet you could even find a version on YouTube to get a better idea, but I say just go buy the CD or song! We have a small laminator that has magnet backing so that made my life even easier. You could even make it a flannel board but I was crunched on time. I hope you enjoy it!